Armagnac hors d'age , produit dans le bas-armagnac, dans le Gers. Hors d'age Armagnac gers, Basque 70cl produced by the GAEC de Latraou, bottled to order. Armagnac off age, 1.5L bottle gers produced in Lower Armagnac.Armagnac bottled to order, kept in oak barrels. 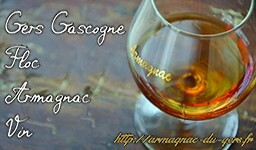 Armagnac Hors d'age, 2.5L bottle, porduit in Bas-Armagnac, the GAEC of Latraou. Armagnac bottled at the command stored in oak barrels.